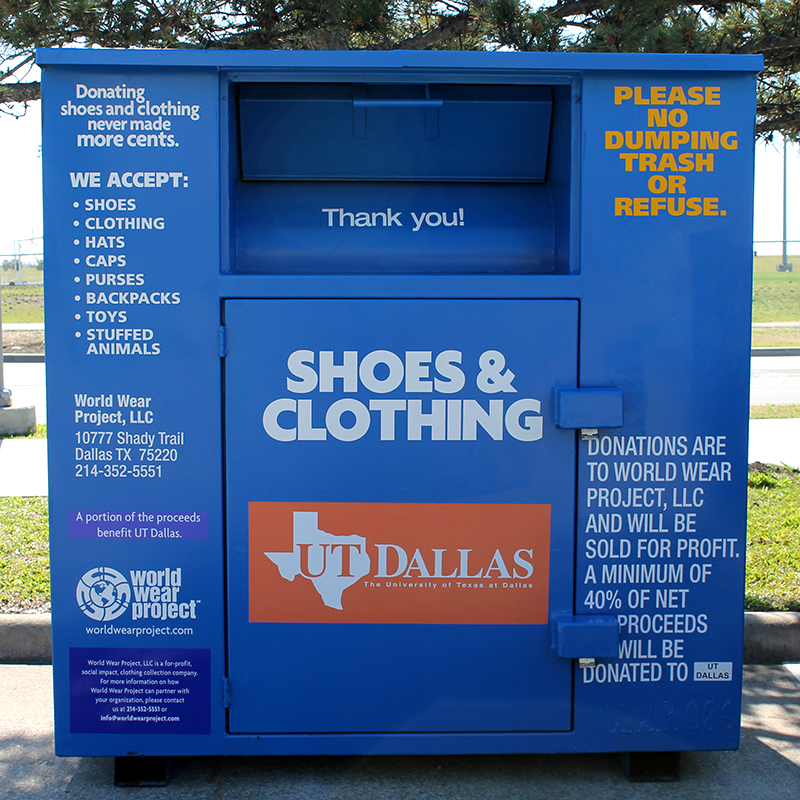 Recycling is a key aspect for reducing our environmental impact at UT Dallas. Recycle bins are located on the interior and exterior of buildings across campus. UT Dallas operates a single-stream recycling program. This means you can place cardboard, paper, aluminum cans, metal cans, plastics (1-5 and 7), and unbroken glass bottles in a recycling bin. 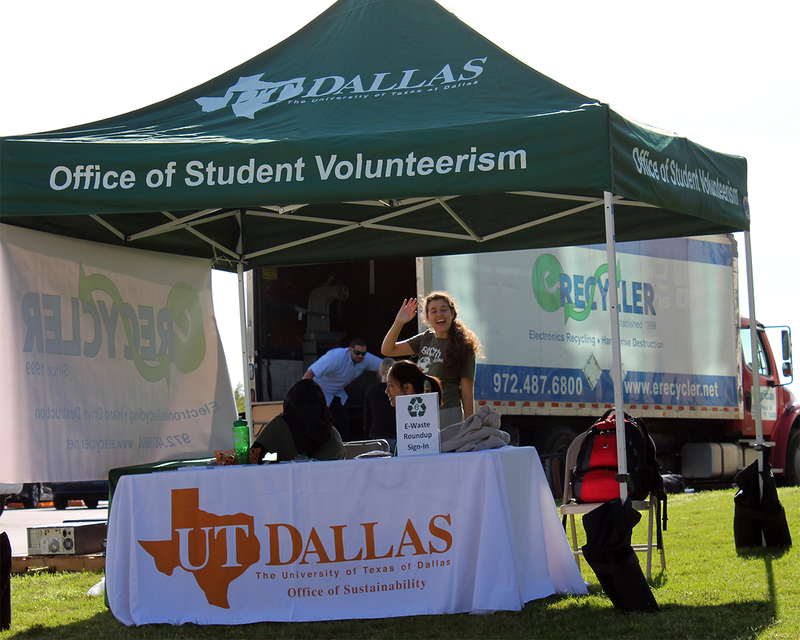 If you have any questions regarding our recycling program, please contact recycling@utdallas.edu. 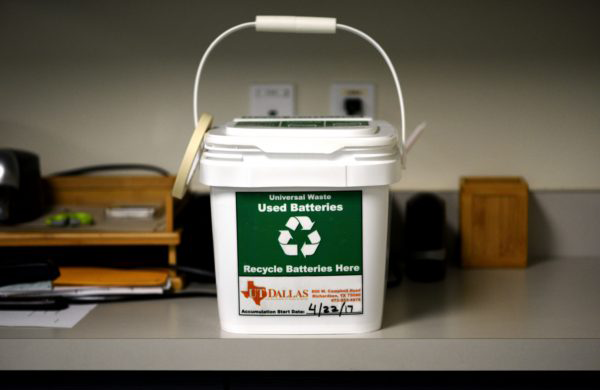 The Office of Research Compliance offers battery recycling at UT Dallas. All campus generated batteries are acceptable in the recycling stream. Battery specific recycling bins are available in most buildings on-campus. Please see recycling locations for specific placement. For more information about the program and frequently asked questions, please review the Research Compliance website. The University generates large quantities of cardboard. Facilities Management will collect cardboard in the single stream recycling or separately, depending on the amount. To recycle small amounts, flatten your cardboard and place it next to any indoor recycling bin. 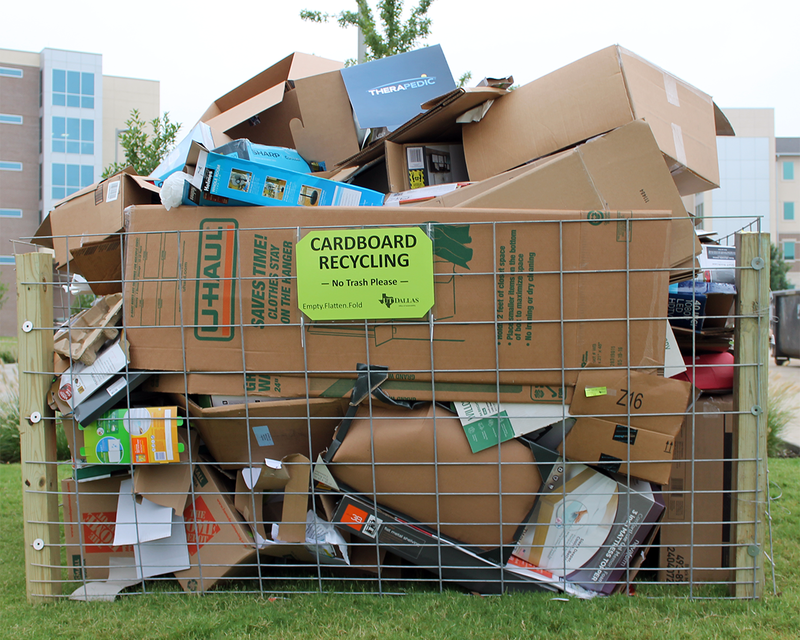 Please let us know if you have a large volume of cardboard; arrangements will be made for a special pickup at no cost by contacting recycling@utdallas.edu. During Move-In each fall, Facilities Management organizes special cardboard recycling to keep this material out of the landfill. 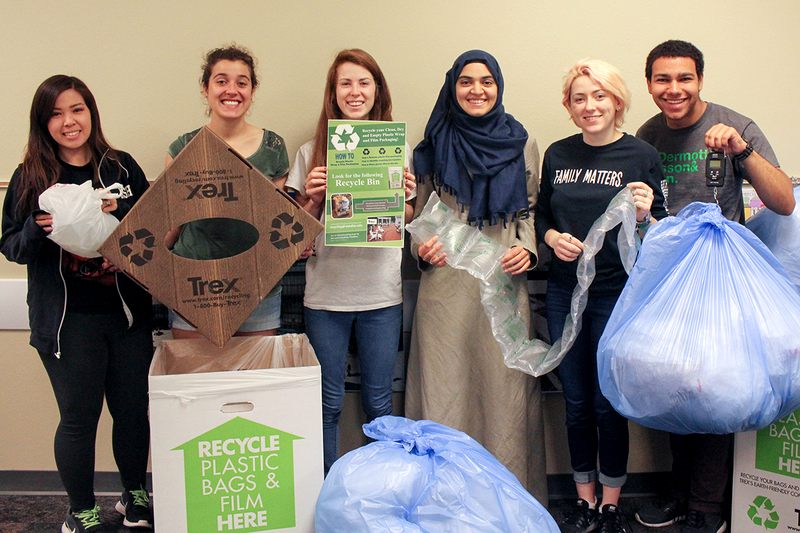 The Office of Sustainability and University Housing has partnered with the World Wear Project to collect and recycle shoes, clothing, and other textile materials. Two large blue containers have been installed near campus housing locations. 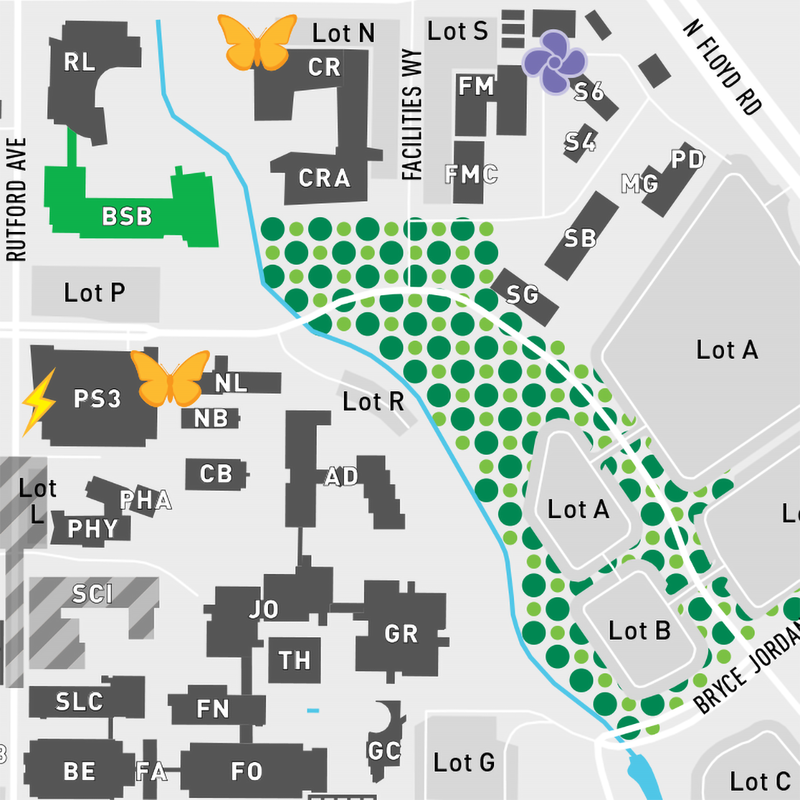 The locations can be found on the recycling locator and on the green campus map (PDF [Portable Document Format File] ). Revenue generated from this program will support the UT Dallas Eco-Reps, which provide peer education to other students on sustainability and to other student-led initiatives. Through Environmental Health and Safety (EH&S [Environmental Health and Safety] ), confidential shredding is made available at a low cost. All documents that are shredded are recycled. UT Dallas offers a variety of opportunities to recycle personal and University electronics. For personal electronics, the Sustainability Office, Office of Student Volunteerism and the UTD Tech Store offer e-waste recycling events throughout the year. The Office of Information Security also offers a free hard drive and small personal electronics recycling opportunity (PDF [Portable Document Format File] ). Items are shredded and then sent to a recycler. For University-owned electronics, follow the procedures for dealing with surplus materials. 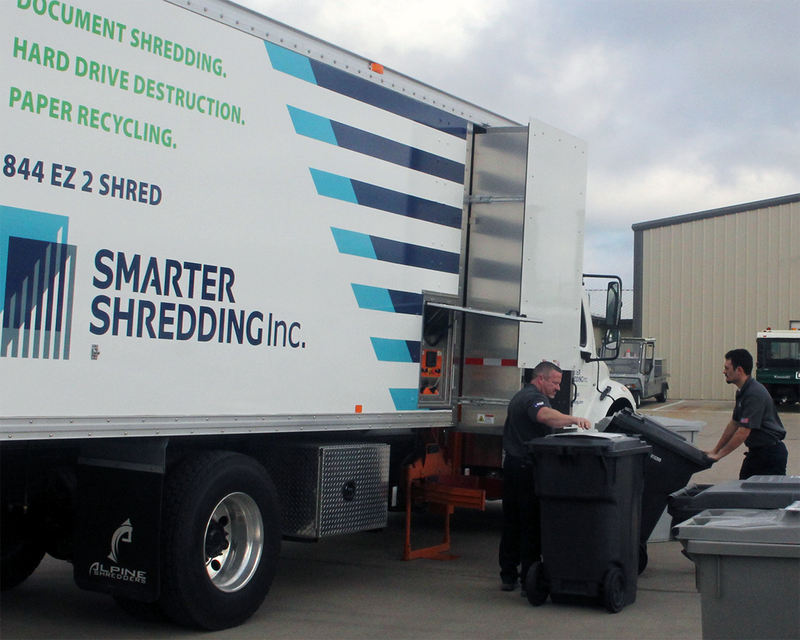 Property & Surplus will pick up, shred, and recycle the wastes as appropriate. 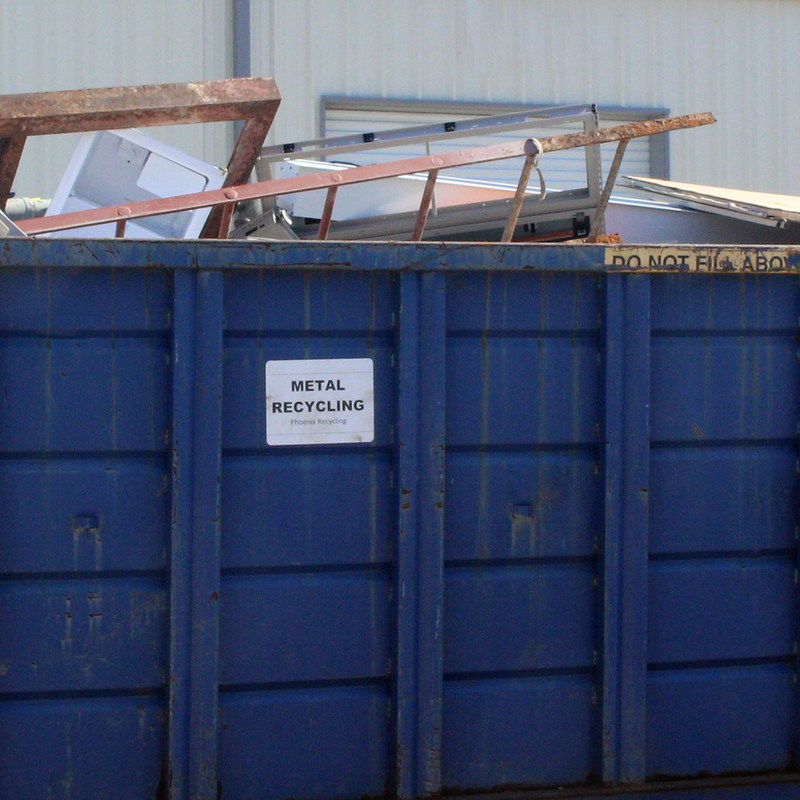 Any metal waste may be recycled at UT Dallas. Small amounts can go into the recycling bin. Large quantities of metal scrap —with no hazardous material contamination— can be collected by contacting recycling@utdallas.edu. UT Dallas Facilities Management uses nitrile gloves for custodial operations and sustainability projects. The transition from latex to nitrile gloves was inspired by the opportunity to reduce our environmental impact without sacrificing quality. 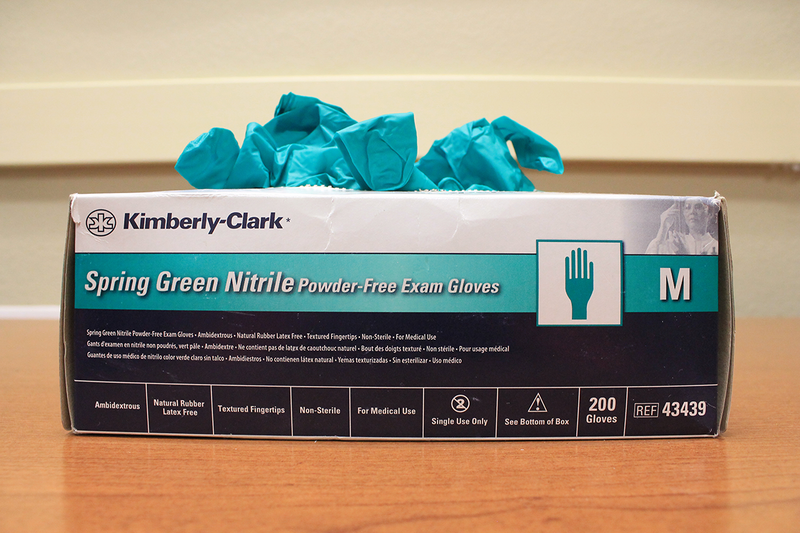 Through our partner, Kimberly-Clark, nitrile gloves are recycled in a separate stream at UT Dallas. This recycling program is Kimberly-Clark specific. If you are interested in transitioning to nitrile gloves in your operations on-campus, please let us know. Facilities Management, through our partner Trex, is collecting plastic film in a few limited locations. If your office handles a high volume of dry plastic wrap, contact recycling@utdallas.edu and we will provide a bin to collect the material. Acceptable materials include plastic film, plastic bags, shipping wrap, and bubble wrap. Once the bin is full, notify recycling@utdallas.edu to have the bin emptied. 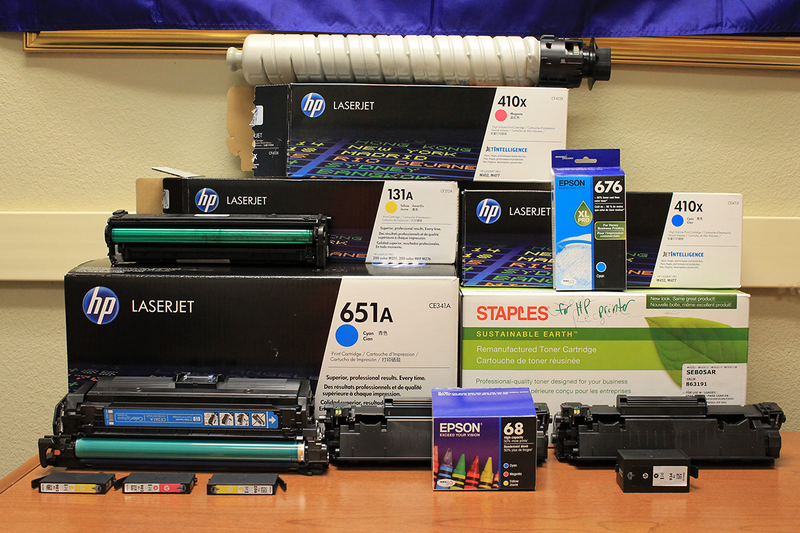 Printer cartridges and toners are recycled at many locations on-campus. Through a partnership with Staff Council, the revenue generated from recycling ink cartridges and toners goes toward the Staff Council Scholarship. If you have a mail or printing room where your office would like to host a cartridge recycling bin, please let us know. If your cartridge or toner recycling bin needs to be emptied, please email recycling@utdallas.edu. 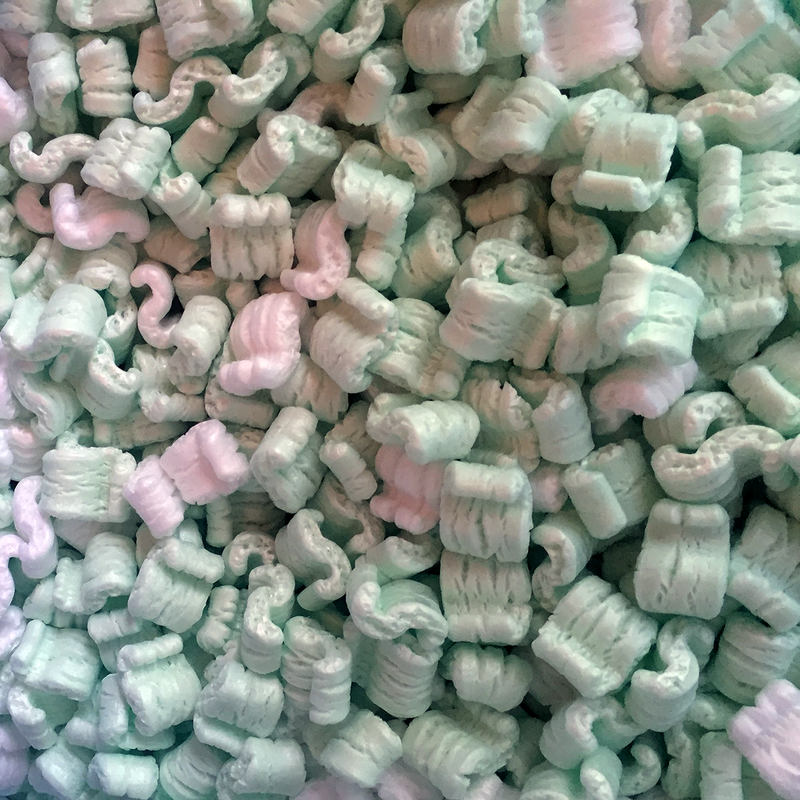 The Office of Sustainability offers Styrofoam packing peanut recycling. If you have dry packing peanuts, please collect them and deliver a full bag or box to our partners at central receiving located in the Service Building. Please notify us prior to delivery. From there, a representative from the Office of Sustainability can pick them up. If you need a large quantity picked up from your office, please contact our office for assistance. The Office of Sustainability offers Styrofoam #6 recycling. If you have clean, dry Styrofoam, please collect the material, and deliver a full bag or box to our partners at central receiving located in the Service Building. Please notify us prior to delivery. From there, a representative from the Office of Sustainability can pick them up. If you need a large quantity picked up from your office, please contact our office for assistance. The Office of Sustainability has partnered with the Richardson Independent School District to help reduce the volume of used-binders from entering the waste stream. If you have any good quality used binders that are no longer in use, our office will happily accept them. The used-binders will benefit RISD [Richardson Independent School District] students who are interested in pursuing higher education. Please contact our office for assistance or questions on how to drop-off or schedule an on-campus pickup of the binders. 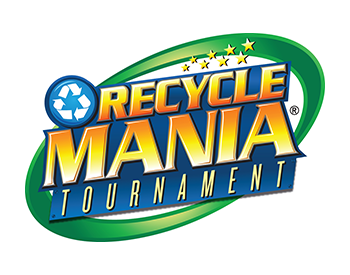 The University of Texas at Dallas participates in the RecycleMania Tournament every year from January through April. This is a great opportunity to track our recyclables and see where the University ranks in comparison to others. 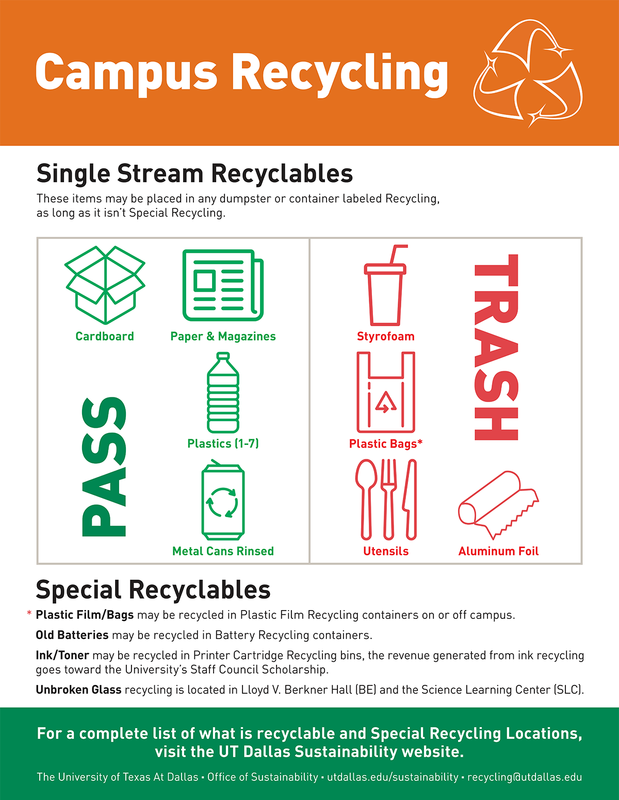 Students, staff, and faculty are encouraged to recycle as much as possible. This is a University-wide effort. Please contact us for any questions on how to get involved and how you can help. For past results, please visit the RecycleMania website. 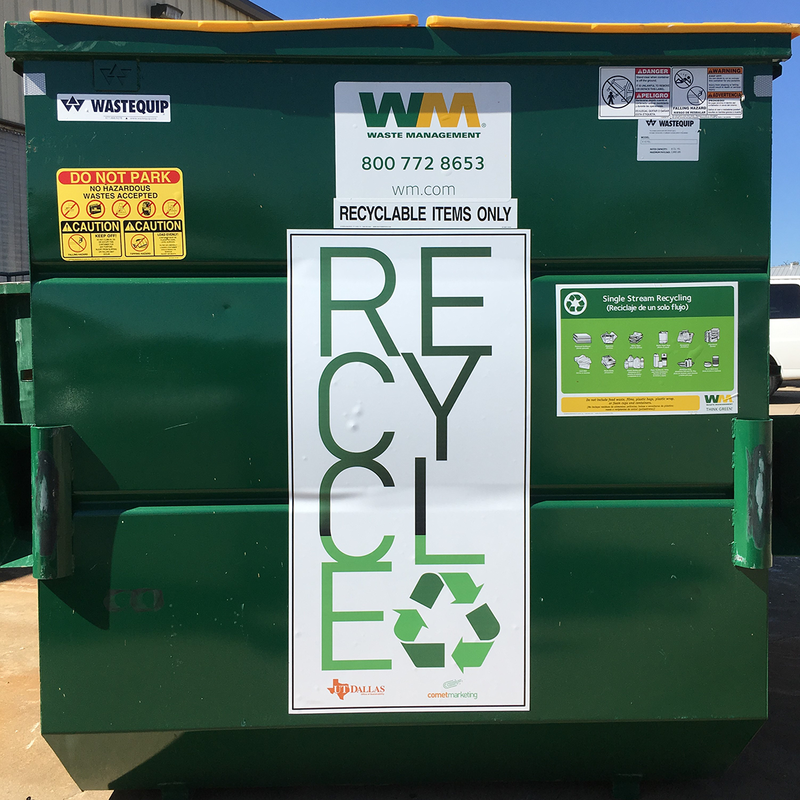 If you plan to clean out your storage area or office space, we can provide you a large recycling bin if needed. We will deliver it to your location, and we will pick it up when you are finished. Throughout campus, each trash and recycle bin should be paired. If this is not the case at your building, please notify us and we will rectify the inconsistency. 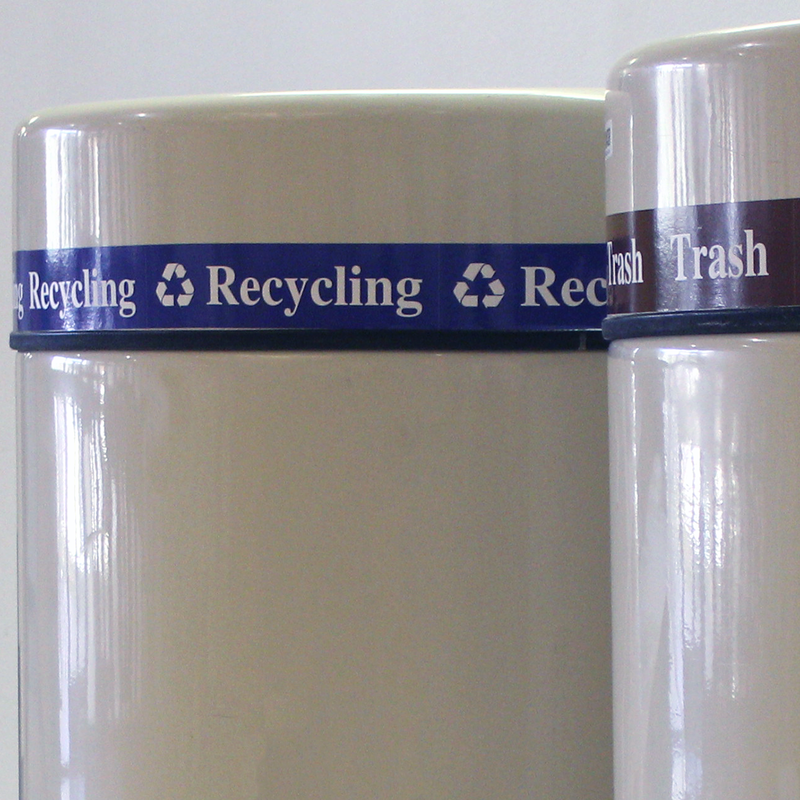 Blue desk side recycling bins are available upon request at no cost to users. Please contact recycling@utdallas.edu to request a bin. Each August Move-In, Facilities Management and University Housing hosts a large cardboard-only recycling initiative. This is done by constructing collection pens strategically throughout housing locations on campus. In August 2017, we expanded the initiative to include residence halls and on-campus apartments. In addition, additional materials were sorted and recycled. This included styrofoam #6, plastic film, and cardboard. For August 2017, over 70 lbs [pounds] of Styrofoam, 60 lbs [pounds] of plastic film, and 7000 lbs [pounds] of cardboard was recycled. If you or your organization is interested in volunteering to break down boxes, sort materials, and/or be a collection station spotter (checking for overflows), please feel free to contact us for more information on how you can help.